According to College Hockey News, the Blackhawks have hired Lake Superior State assistant coach Peter Aubry as a new goaltending coach. After one seasy at LSSU, Aubry tells told CHN that he’s excited to make the jump to the NHL. 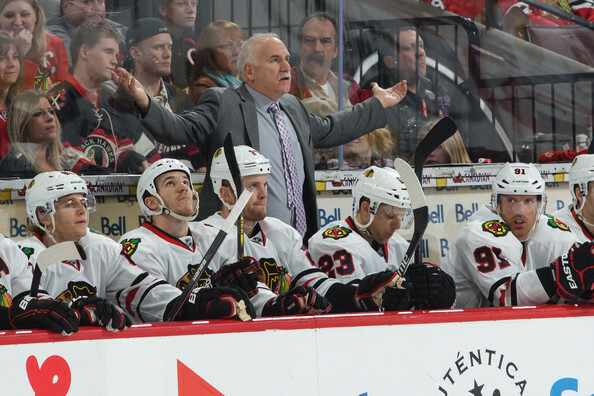 Jimmy Waite is still listed as the Blackhawks goaltending coach on the team’s website. No formal announcement has been made by the Hawks or Rockford IceHogs yet. On July 10, Andrew Allen left the Hawks organization after four years as the developmental goaltending coach. Allen joined the coaching staff in Buffalo. What happened to Jimmy Waite? Pretty interesting picture of the bench….every player could be gone before opening night and RIchards is already gone. 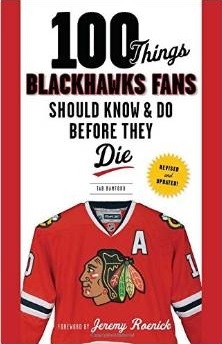 Kane…suspended, Shaw perhaps on the chopping block due to cap, Bickell…c’mon!, Versteeg, chopping block, Richards…gone. Have to echo Peter’s thought…so what happened to Jimmy Waite? I think this guy is ticketed for Rockford, as Tab notes the guy they had there left to join the Sabres staff. Thanks Hof, that seems to make some sense. MM, can you please stop with Kane until all the facts are in? Better get use of the idea that Kane is going to miss all or a good part of this upcoming season! Dude has a serious problem! He put himself and the team in a untenable situation! This could drag on for awhile! Whether it was made up or true! Kane is going to pay for this one! If Kane misses time, does his salary count against the cap while he is gone? I think so! Only excepion is for a injury that will take you out for the regular season,which how the Hawks got Vermette! Sadly Vermette would fit fine know knowing what we now! Point the dirty finger a Patrick! He put the Hawks in this position after getting rid of Vermette and Saad! Read an article out of buffalo that Kane’s accuser is an aspiring model, well known in hockey circles in buffalo. Article goes on to state she doesn’t want to go to trial and she’s retained a lawyer and is seeking a settlement. As much I am disgusted with him, starting to look like she’s a gold digger! If he’s guilty cut or trade him, but this is starting to sound pretty fishy to me. Seems odd still no formal charges have been filed.